Carbonation is a natural phenomenon affecting commonly used cementitious materials, which can have detrimental effects on structural concrete. The accelerated carbonation of wastes is a controlled accelerated version of the naturally occurring process. At a time when rapidly changing legislation is promoting the recycling and re-use of waste materials, the emergence of technologies that can utilise both gaseous and solid waste products in re-useable materials is timely. Thus, this special issue of Minerals Engineering reviews the current state of the art and potential future developments in the application of accelerated carbonation technology. This is outside the usual scope of Minerals Engineering, but is an area that will assume increasing importance in the minerals industry with the need to reduce CO2 emissions and recycle or utilise waste products, so I thanks the Guest Editors, Tom Van Gerven, Rafael M. Santos and Ozlem Cizer, of KU Leuven, Belgium, for suggesting Minerals Engineering as the medium for publication. In 2013, the KU Leuven hosted the 4th Edition of the International Conference on Accelerated Carbonation for Environmental and Materials Engineering. ACEME 2013 followed the three successful previous editions held in London/UK (Jun-2006), Rome/Italy (Oct-2008), and Turku/Finland (Nov-2010). The ACEME conferences aim at promoting research and development activities on accelerated carbonation at an international level, favouring knowledge sharing and critically discussing future development and implementation in the field. The objectives of the 4th Edition were to communicate and discuss the latest advances in the field of theoretical and applied research on accelerated carbonation of various types of natural materials and industrial residues. Processing conditions, product properties and (on-line) analysis at lab-, pilot- and full-scale were the key focus themes of the conference. The conference also aimed at promoting mineral carbonation in the context of Carbon Capture and Storage (CCS) and Carbon Capture and Utilization (CCU). Among the 62 contributions, 14 were selected to be published in the special issue. 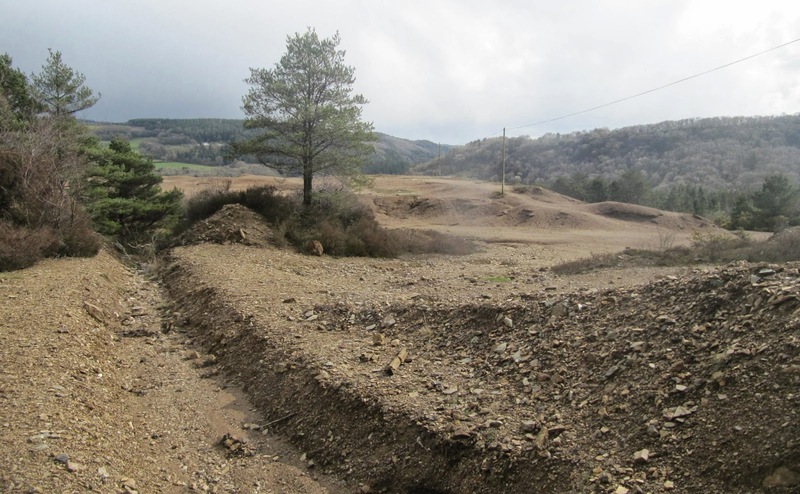 The bulk of the papers report on the reaction kinetics, mineralogical properties and leaching behaviour in various materials that include serpentine, mining residues, oil shale ash, metallurgical slag and hydrated cement. The use of biological catalysts, a rather new development in the field of mineral carbonation is also highlighted. 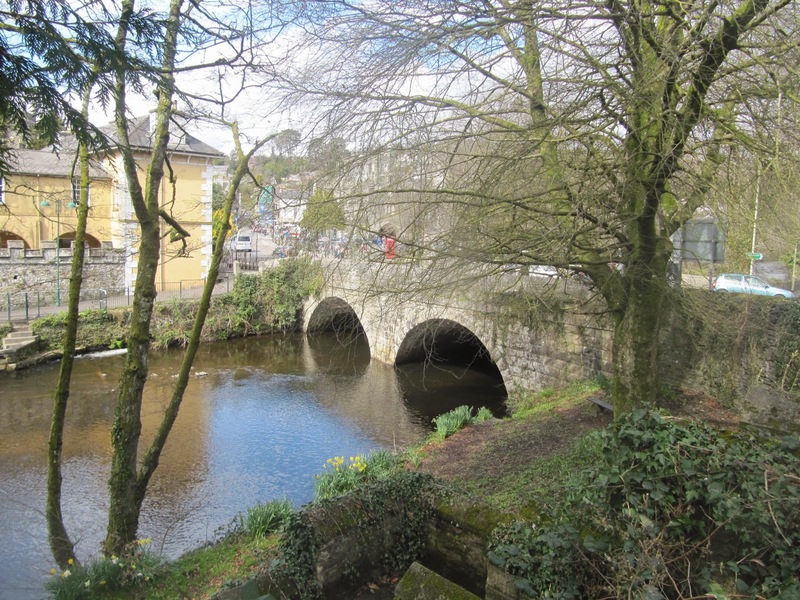 Barbara and I were in the Dartmoor town of Bovey Tracey on Friday to attend the memorial service for Gavin Wonnacott. We stayed overnight near Haytor then yesterday morning drove across the moor to the attractive Devon town of Tavistock, birthplace of Sir Francis Drake. After coffee, we travelled the short distance down into the Tamar Valley, on the border with Cornwall to visit what was, in 1850, the richest copper mine in Europe. Devon Great Consols, on the Devon side of the River Tamar, is a consolidation of five adjacent mines which were worked for copper and arsenic in the nineteenth and early twentieth centuries. 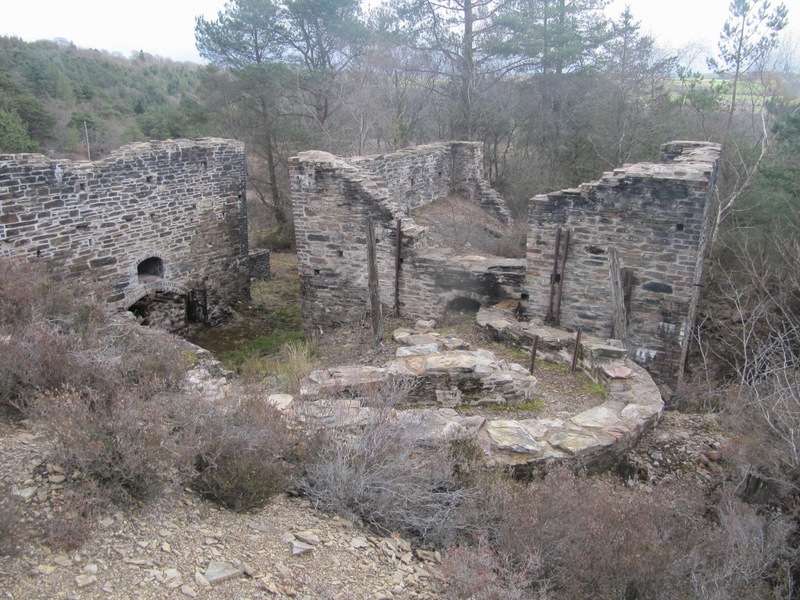 The mines were named mostly after the shareholders or their wives, Wheal Maria, Wheal Fanny, Wheal Anna-Maria, Wheal Josiah and Wheal Emma. The site had the largest sulphide lode in the west of England, the "fabulously rich" mineral vein, in the slates known locally as 'killas', containing deposits of chalcopyrite and arsenopyrite. At its peak, Devon Great Consols employed around 1,300 people. Devon Great Consols was in operation from 1844 until 1900 and then again from 1915 to 1930. Copper was extracted first and in total over 750,000 tons of copper ore were recovered. Copper reserves started to run out around 1870. 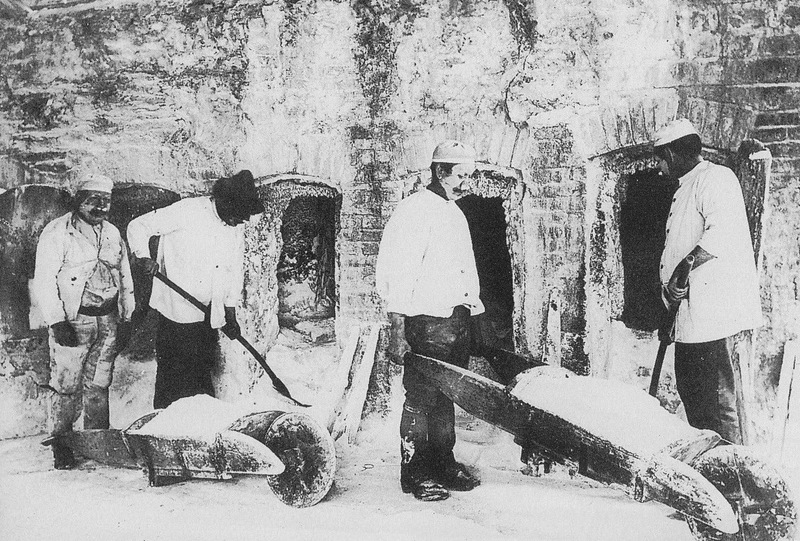 At this time, demand for arsenic increased due to its use in the dyeing, paint and glass industries, as well as a pesticide in the cotton fields of the USA, and Devon Great Consols became the largest arsenic mine in the world. In the 1870s half the world’s arsenic production was estimated to come from half a dozen mines in the Callington and Tavistock area, including Devon Great Consols. Little remains now but a desolate landscape, but we walked along the original mineral railway route, now a mountain bike trail, to the remains of the Wheal Anna Maria arsenic workings. Around 72,000 tons of arsenic were refined on this site by calcining and in total yielded 72,000 tons of product. The Brunton Calciner, which had an enclosed revolving hearth, was also commonly used in Cornwall for roasting tin concentrates to drive off the arsenic as poisonous arsenic trioxide, which was condensed as a 'white soot' in long labyrinths, which were periodically dug out by hand to recover the oxide, surely one of the worst ever jobs in mining! Last Thursday lunch time I attended a Women in Mining (WIM) networking event at the St Michaels Hotel in Falmouth - venue also to our Falmouth conferences. 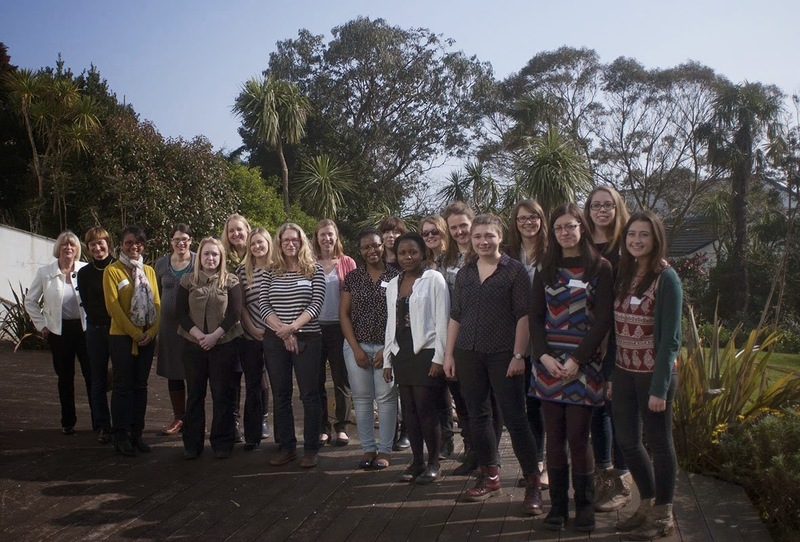 The event attracted 19 women, mainly from the Camborne School of Mines, University of Exeter, but also from as far afield as Imperial College London. We began the event with a brief introduction from Denise Pascoe of the Camborne School of Mines, University of Exeter, who explained the motivations behind starting up what is hoped to be an ongoing series of networking events. Following this, Frances Wall, the first female president of the Mineralogical Society of Great Britain and Ireland, gave an introduction to the Women in Mining UK group, which was formed in April 2006 by Barbara Dischinger and now has over 1000 members. Next came the potentially embarrassing "speed networking", whereby we each spent approximately 2 minutes talking to another attendee about what we do and why. This actually turned out to be a fun and easy way of getting to know people, although due to the high turnout I didn't get a chance to meet everyone unfortunately. We then split into 3 groups, and over lunch we discussed the main issues affecting women in mining from our point of view and also planned the next meeting. Issues ranged from how to maintain a career and a family, to how to tailor your cv so that it is gender neutral, to the lack of female facilities onsite on occasion. I somehow found myself volunteering to organise the next event, so look out for details on here or email me and I will add you to the mailing list. If you are interested in joining a WIM group then the details are here: http://womeninmining.net/community/wim-groups-around-the-world/ and their LinkedIn page is here: https://www.linkedin.com/groups/Women-in-Mining-86320/about. Thank you to Denise Pascoe for organising this event and thanks to the St Michaels Hotel for generously allowing us use of their Locker Room. MEI's Process Mineralogy '14 consultant, Dr. Megan Becker has emailed to let me know that The Centre for Minerals Research (CMR) in the Department of Chemical Engineering at the University of Cape Town has just completed the installation and commissioning of a new FEI FEG (Field Emission Gun) QEMSCAN 650F (Quantitative Evaluation of Minerals by Scanning Electron Microscopy). The instrument was funded by the South African National Research Foundation and the Centre for Minerals Research. QEMSCAN provides detailed quantitative mineralogical data on metallurgical samples and is a key process mineralogy tool used in the comminution and flotation research of the Centre. At last month's SME Meeting, Prof. Cyril O'Connor reviewed how in recent years the CMR has been integrating its comminution and flotation research, demonstrating the importance of developing a fully integrated approach to the design and operation of comminution and flotation circuits. 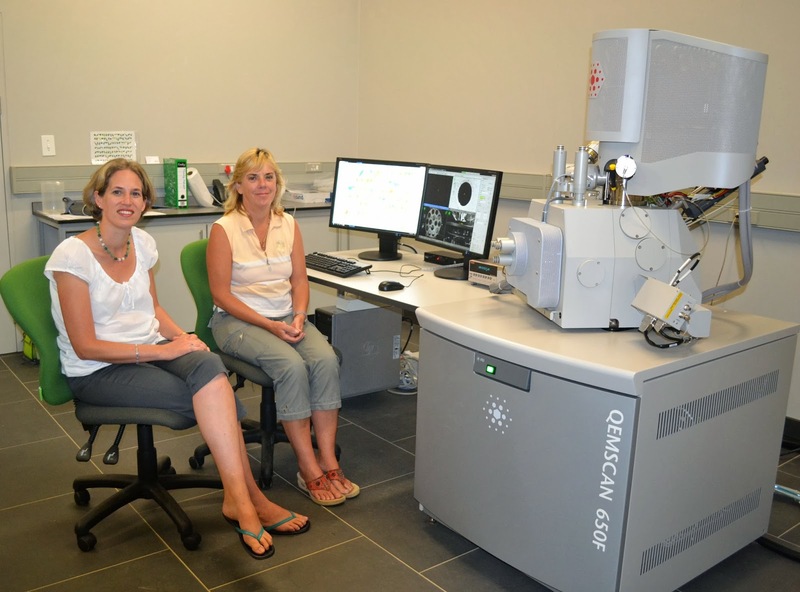 Automated mineralogy methods and tools, such as the Mineral Liberation Analyser (MLA) and the QEMSCAN, are now widely used in the mining industry worldwide, with close to two hundred of these systems installed in research and company central labs over the last ten years. By measuring samples of ore and processing plant material, these instruments provide statistical distribution of the size distribution and associations of minerals of interest, critical for ore characterisation, process design and optimization. As such, automated mineralogy has become an important contributor to process mineralogy and geometallurgy. The world leader in automated mineralogy systems is Process Mineralogy '14 sponsor FEI, manufacturer of both QEMSCAN and MLA systems, who are developing systems enabling the generation of daily automated mineralogy data (QEMSCAN or MLA) on-site, with a turn-around time of around 24 hours. Recent case studies of the application of automated mineralogy for process improvements have highlighted significant returns obtainable through grinding and flotation optimisation supported by automated mineralogy data. However, since automated mineralogy can only provide the information pointing to where the process gains can be made, it does not directly impact the production gain. Thus the question is often asked: how to value the contribution of automated mineralogy to process improvement at a particular plant. This appears to be a difficult question to answer, but a recent paper in Minerals Engineering, authored by workers from Australia and South Africa, shows that the value of information is the reduced risk of an investment and opportunity loss, which can be applied to estimate the value of automated mineralogy, as well as metallurgical test work, both producing information that reduces the risk of investment. This is the first time an attempt has been made to quantitatively value the contribution of automated mineralogy for mineral processing plant optimisation. The method can be used to estimate the value of metallurgical test work in the context of either ore source characterisation (geometallurgy) or plant optimisation. The methodology developed can be applied to different commodities and different scales of mining operations. Each mine will have different operational parameters, such as tonnages, grades of ore and the price of their products. It is often the case that the metallurgist needs to evaluate different plant modification options. The simulated results for each of the options can be used to rank them so as to allow for the selection of the option that can deliver the best possible outcome with acceptable risk profile. The authors accept that the model developed is by no means the most comprehensive one, but it should be more than adequate to assist the plant managers when they consider plant optimisation and investment in automated mineralogy. Hopefully more on this at Process Mineralogy '14 and an opportune time to remind everyone who has an interest in process mineralogy (which should be all mineral processors) that the deadline for abstract submission is the end of May. Falmouth has never looked more beautiful than it did yesterday. Bathed in spring sunshine, the beaches were packed and last evening as we left the Falmouth Hotel after the CSM Annual dinner, the sea shimmered in the moonlight. So little surprise that in this morning's Sunday Times, Falmouth has been voted #4 on the list of 101 Best Places to Live in Britain. If you have ever visited Falmouth you will appreciate why. 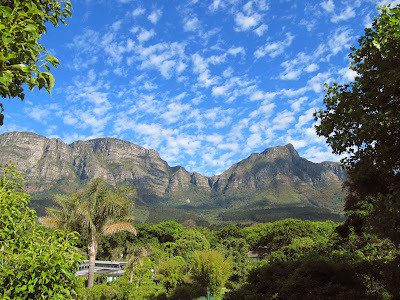 If you have never visited, then put in on your list of places to see- you won't be disappointed. Need an excuse? Then why not come down here for one of Falmouth's MEI Conferences? In June we have Biohydromet '14 and SRCR '14 running back to back, next year Precious Metals '15 and Nickel Processing '15 back to back in May, and Computational Modelling '15 and Physical Separation '15 in June. Below are a couple more reasons to visit Falmouth. 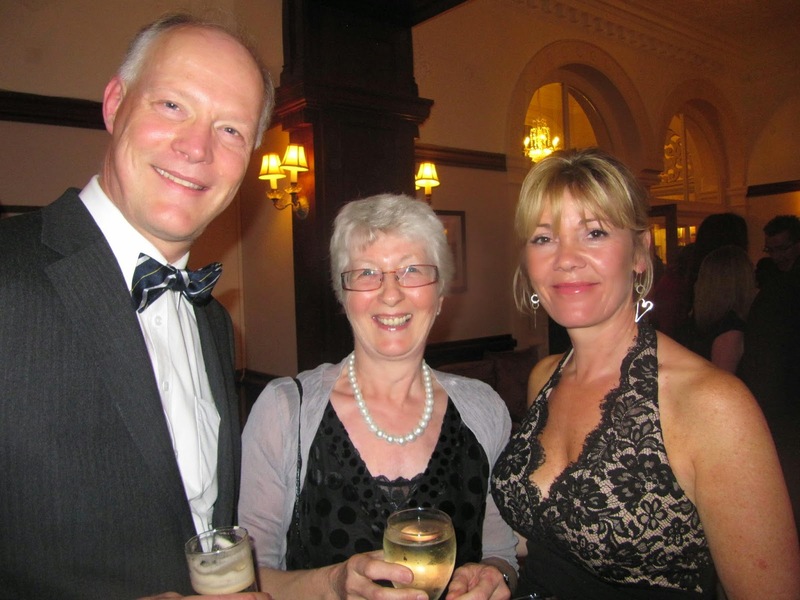 The main event on the Camborne School of Mines Association's calendar is without doubt the Annual Dinner. Although tinged with sadness due to the recent deaths of Gavin Wonnacott and Jim Turner, last night's dinner in Falmouth was, as always, a great opportunity to catch up with people from the past. 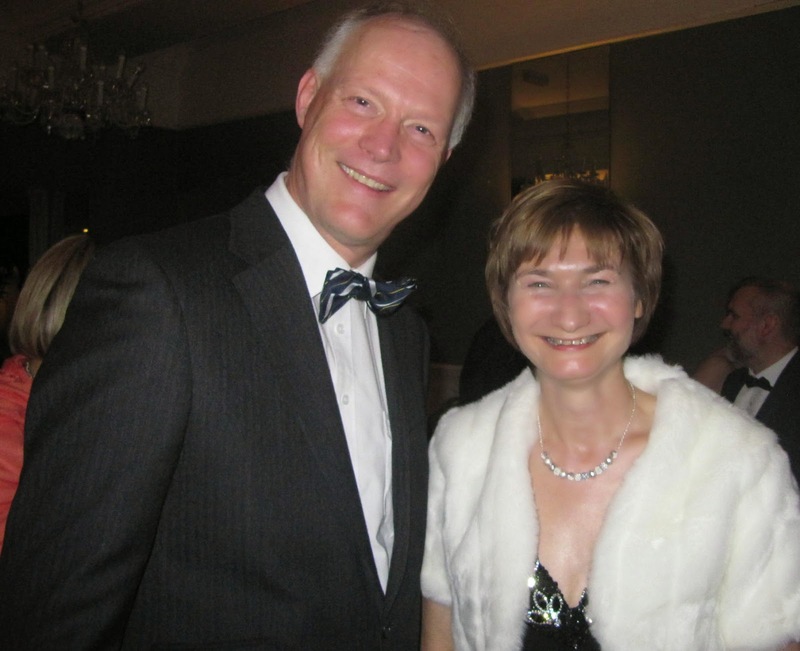 I got the opportunity to personally congratulate Prof. Frances Wall on her appointment as President of the Mineralogical Society of Great Britain and Ireland (MEI Online). She now stands down as Director of CSM, the interim Director being Prof. Hylke Glass. The highlight of the evening was the after-dinner speech by a remarkable man, Martin Parnell, who graduated from CSM in 1977 with a degree in mining engineering. 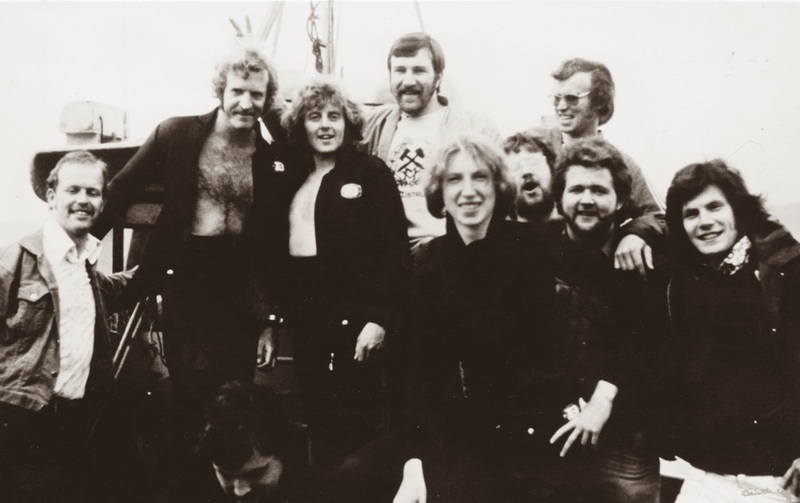 I knew Martin well during his time at CSM, as he was a member of the diving club which I set up shortly after my appointment in 1974. In 2005, during a four-month cycling trip through Africa, Martin was struck by the transformative and positive power of sport to change lives. 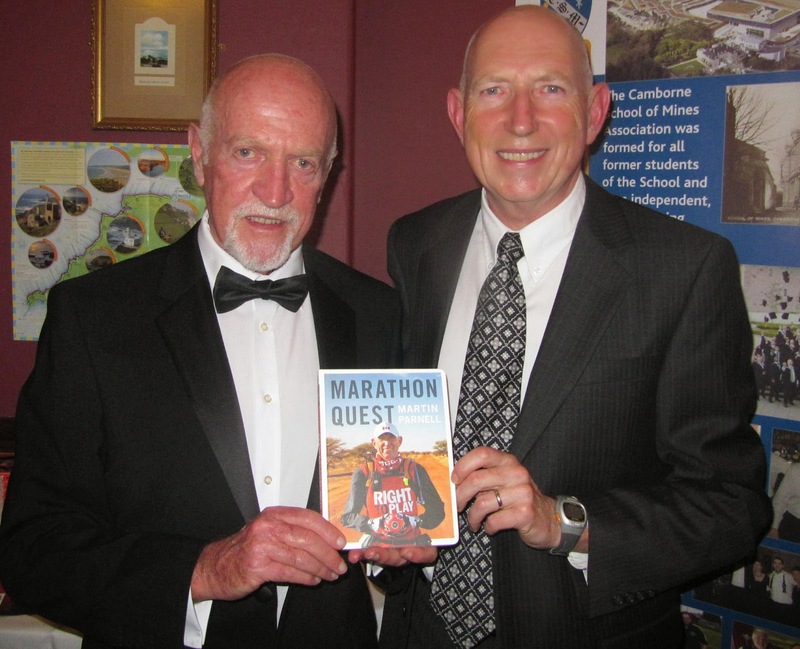 Five years later he dedicated a year of his life to run 250 marathons with the aim of raising $250,000 for the charity Right To Play, an international humanitarian organisation that reaches out to disadvantaged children around the world. Martin is in Cornwall as part of his quest to complete the UK's ultimate challenge for the long distance runner- a 630 mile journey along the South-West Way, from Minehead in Somerset to Poole in Dorset, averaging a marathon a day. He has accepted this challenge in order to raise £100,000 for Right To Play, and today he will be taking on the beautiful, but rugged and undulating stretch of the coast path from Sennen Cove at Land's End, to Porthleven. Truly a marathon task! So all in all, last night's dinner was truly memorable, and thanks go to Claire Yelland, Secretary of the CSM Association for a smoothly organised event. On returning home from last night's mining sundowner, I had a phone call to let me know that my old CSM colleague James (Jim) Frederick Turner had died peacefully at his home in Truro on Tuesday, after a long illness. Jim joined CSM, as head of mineral processing, a year after me, in 1975, on the retirement of the previous head, Frank Bice-Michell. Together with colleagues Bob Barley, and the late Victor Phillips and Roger Parker, we put together the degree course in Mineral Processing Technology, the first students graduating in 1979. Jim himself graduated from CSM, in 1952, as a mining engineer, but spent all his working life in mineral processing in various parts of the world. 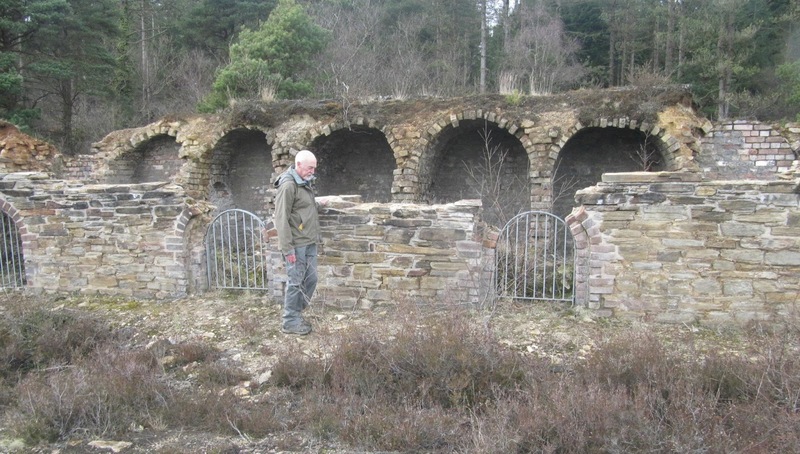 Prior to joining CSM he was mill superintendent at the Wheal Jane mine near Truro. 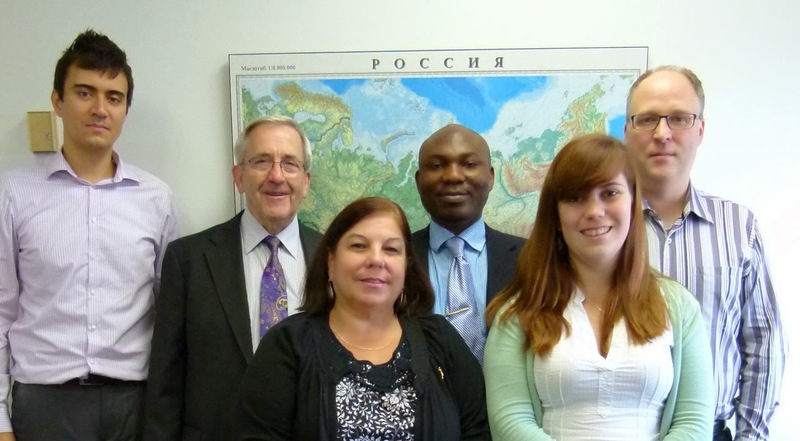 Jim was one of life's gentlemen, and also a gentle man, popular with both staff and students. Our thoughts are with his wife Eve, and their family. I am sure that many of you will have memories of Jim and I invite you to share them by leaving your comments below. 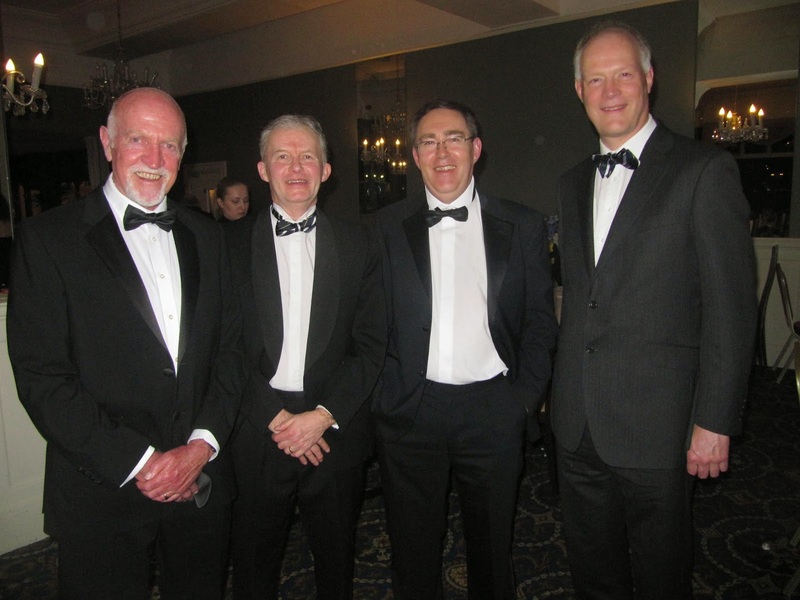 The sundowner was held a little earlier than usual this month, to allow for an expected influx of 'old- boys' who come from around the world to attend the CSM Annual Dinner, which will be held tomorrow. In the event the turn-out was a little disappointing, and there was only a handful of mineral processors at the Chain Locker pub. 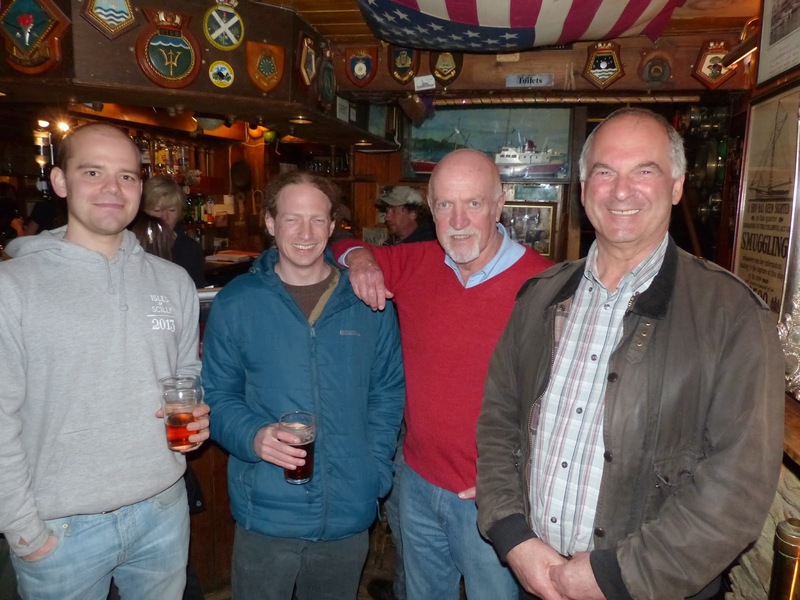 It was good to have a couple of pints with Dr. Klaas van der Wielen, of Selfrag AG, Swizerland, who will be presenting a paper, and chairing a session at Comminution '14 next month, MEI Biohydromet '14 consultant Dr. Chris Bryan, of Exeter University, and Bentley Orchard of Weir Minerals, UK. The "Ancients" certainly knew a thing or two. Just over 3 years ago (posting of 13 December 2010) I discussed the various theories proposing that the blocks comprising the Egyptian pyramids may not have been carved from stone quarries, but may have been cast into place using an artificial zeolite geopolymer. 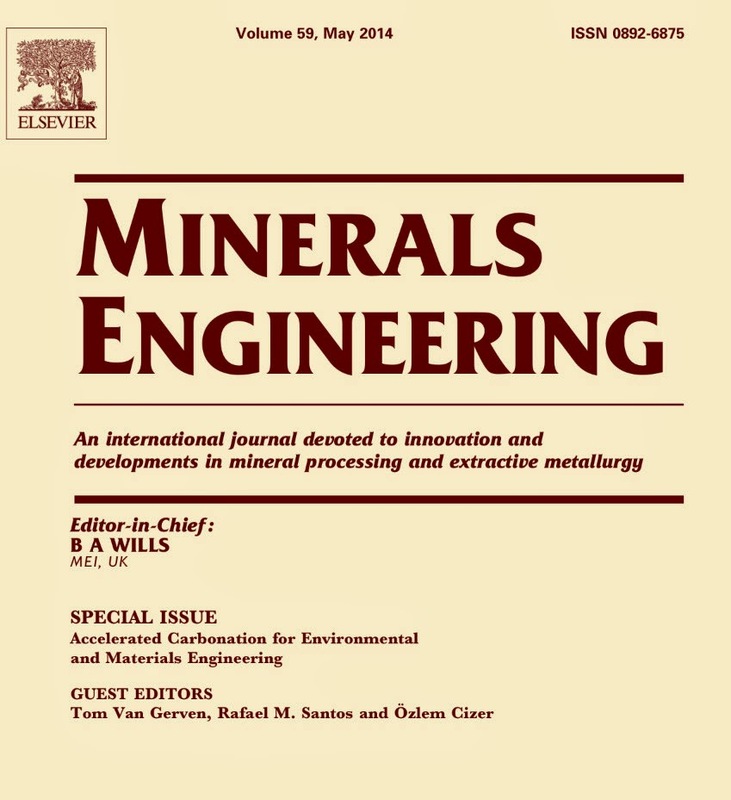 Now a fascinating open access article has just been published in Minerals Engineering, authored by Prof. Thomas Neesse of the University of Erlangen, Germany, a familiar face at many MEI Conferences. Ancient reports and mining relicts indicate that in antiquity technologies of high empirical level were used to enrich finely dispersed gold, exhibiting interesting correlations with modern gold ore beneficiation. Neesse's review describes the scientific basis behind these beneficiation technologies and confirms their historical significance. All of these ancient processes operate on the principle of selectively attaching finely dispersed gold particles onto a solid collector material via hydrophobicity, chemisorptive bonding, or electrical surface charges. . New research provides scientific explanations for several ancient variants of gold ore beneficiation that are discussed in the paper, including the dry and wet attachment processes used in pharaonic Egypt, sheepskins utilized as gold collectors in the Caucasian region, hemp utilized as a gold collector in Celtic Bohemia, and the use of gorse for gold beneficiation in the Roman Empire. The highest performing antique gold beneficiation technique was the use of gorse as a superhydrophobic gold collector and can be regarded as a precursor to the modern flotation process. Empirical knowledge of these sophisticated technologies appears to have existed since the 3rd millennium BC but could not have been explained until today, based on new research regarding the triboelectric properties of gold, its hydrophobic effects, and nanogold chemistry. Combining density sorting and attachment processes enabled the mining of gold-poor deposits containing finely dispersed gold. The first biocollectors were high-oil-content woods and animal furs. Later, during the Celtic-Roman eras, mining was expanded to utilize hemp and gorse plant collectors. However, many of the details regarding these complicated processes will never be discovered. Further, dry technologies with ancient origins (i.e., the plant uptake of gold and the triboelectric separation) may influence advancements in existing beneficiation technologies. Today, the plant uptake of gold, which is comparable to the ancient Celtic hemp process, is being evaluated in phytomining projects in arid regions. Hemp has not yet been tested but appears to be an interesting possibility because it combines hydrophobic attachment and the gold plant uptake under hydroponic conditions. This is a fascinating article which should be read by all who have an interest in mining history, and particularly of gold processing. It was good to see my old pal Terry Veasey in Falmouth today. 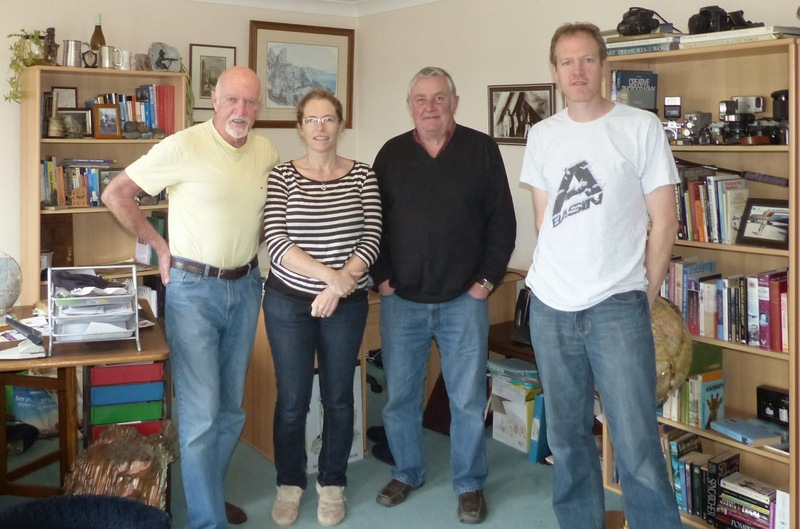 He and his wife Pauline are down here on holiday in Penzance and called in yesterday for a meal with us and to catch up on the latest mineral processing news! During my time at CSM Terry was a senior lecturer at the University of Birmingham, and we worked together exploring the potential of thermally assisted liberation. 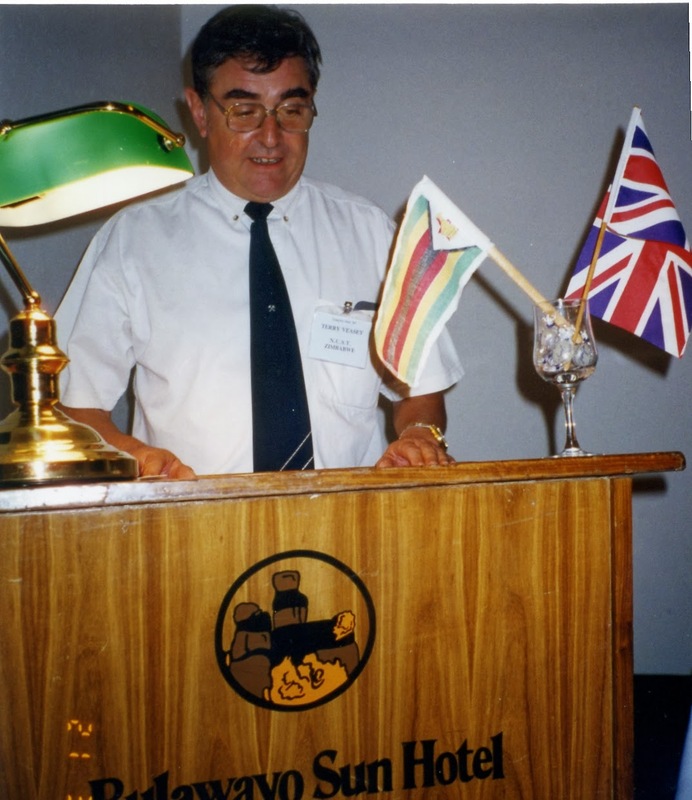 Many of you will also remember him from his time as UNESCO Professor of Chemical Engineering at the National University of Technology, Bulawayo, Zimbabwe from 1995-1997. He regularly reads the blog, so if you would like to get in touch with him, just leave a comment. Comminution '14 starts 4 weeks today and the current delegate list is now available. The fine international technical and social programme (see 16th December posting) is preceded on the Sunday by a JKMRC workshop (full details on MEI Online). The JKMRC is reinvigorating research in stirred milling technology through an industrial collaborative project on ‘Global Best Practice in Stirred Milling Technology’ - including the development of a ‘Fine Grinding Work Index’ and developing generic ‘Media Wear’ testing techniques. The draft proposal has attracted the interest of potential sponsors, including equipment suppliers, grinding media suppliers and mining companies. The project kick off workshop takes place on Sunday 6th April, and the JKMRC is inviting potential sponsors to participate. The aim is to clearly present the current status of knowledge in stirred milling followed by actively engaging potential sponsors in collaboratively refining the project scope prior to formally starting – a direct benefit to all parties. The Workshop will finish in time for Comminution ‘14 registration and welcome drinks starting at 4:30pm. 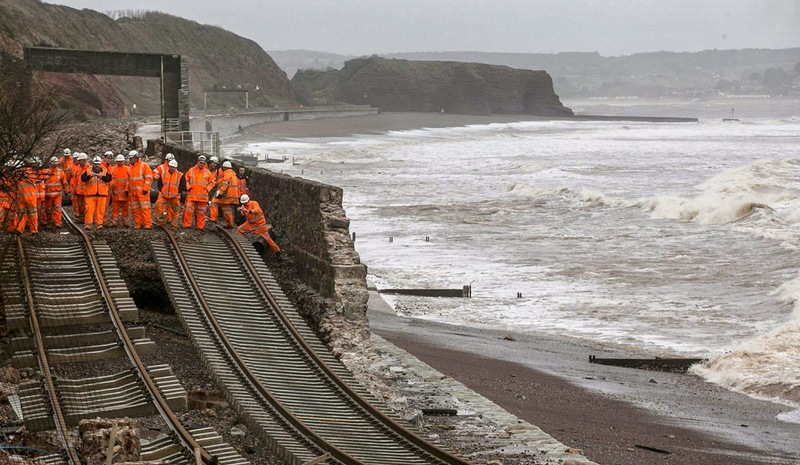 At last the winter storms seem to have abated, and engineers have been working feverishly to repair the broken line at Dawlish in Devon, on the main rail line from London to Penzance. The good news for those attending the MEI Conferences in June is that the line is expected to re-open on April 4th, so all should be back to normal by June. 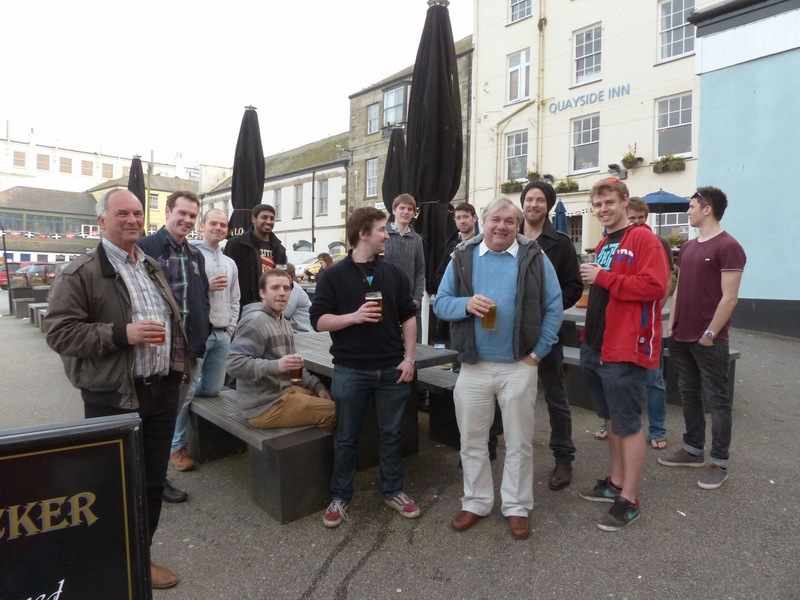 Registration is open, and programmes are published for Biohydromet '14 and SRCR '14 which run back to back in Falmouth. Last month's Society of Mining Engineers (SME) meeting in Salt Lake City, was a huge event, with around 6700 delegates and 800 exhibit booths. Many of the exhibitors and sponsors also participate in MEI Conferences, notably the big boys such as FLSmidth, Outotec and Metso. But among the major companies exhibiting their wares were many Small and Medium Enterprises, and it is these SMEs that I sing the praises of in this posting. Two of these small companies, Starkey & Associates, and RSG Inc. are regular exhibitors at the SME events, as well as MEI's Comminution conferences, Starkey & Associates also being sponsors of Comminution '14 and Comminution '12. 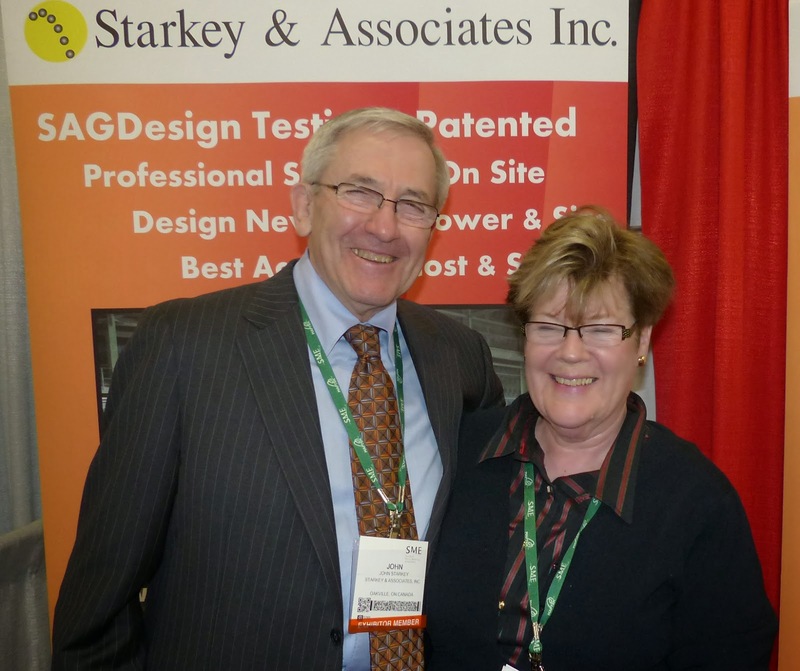 With 5 full time employees and a rotating co-op student position, Starkey & Associates (S&A) is a small business by conventional definition but with a worldwide reach of a big business through its working relationships with a consortium of 10 ore testing laboratories that are positioned around the globe to provide their suite of laboratory test services to clients in the mining and mineral processing industry. S&A was founded in 2000 by John Starkey and is now a recognized global leader in ore hardness measurement, grinding circuit design and optimization, and general process engineering design and consulting services. S&A is now introducing new testing methods that will provide more rapid, cost effective and accurate testing of SAG and ball mill hardness for geo-metallurgical testing programs than have previously been available. In addition, S&A is expanding its design and consulting expertise into fine grinding applications beyond traditional ball milling through the provision of access to testing facilities using other fine grinding technologies. 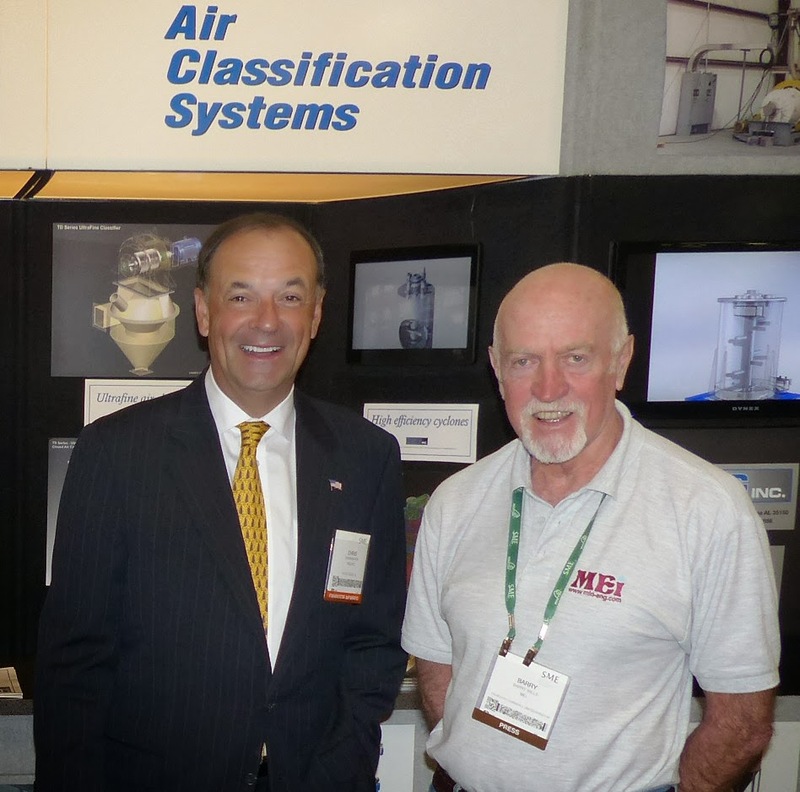 Chris Martin, a 1980 graduate of UMIST, UK, formed RSG Inc. in 1991, having identified a need for more efficient classification in the kaolin and marble industries specifically for vertical roller mills. He worked on mechanical designs and applied for a USA patent during 1991 and early 1992. The first order was taken in early 1992 for one MCS-500 High Efficiency Air classifier to be retrofitted on a vertical roller mill, at this time the company having no office, no plant, no employees. The first installation was an enormous success and during the period 1992 to 1995 the company sold a further 12 systems (still without office or employees) and in 1994 the USA Patent was granted. In 1995 the office and pilot plant was built in Sylacauga Alabama and the first employee joined. In 1999 RSG invented, designed and built the first ever mill for dry ultrafine grinding of calcium carbonate, and today the company has 12 employees and a 3000m2 pilot plant and test facility. It is interesting to see how a huge event such as SME compares to a relatively small but focused event such as an MEI Conference in the eyes of such small companies. Chris Martin explains "SME offers exposure to over 6000 attendees, Comminution '14 around 200; naturally the cost to the small exhibitor cannot be based upon a head count alone. Ultimately participation at a show or conference must yield results to the small manufacturer, this is not an abstract branding exercise. Comminution '14 offers a high concentration of potential clients as well as contact with former colleagues and friends within the industry. The coffee breaks, lunches and social functions are an extremely important part of the event. The client contact is normally in terms of hours rather than a few minutes as on a booth at SME. At the end of the event you have had chance to meet with every attendee. SME offers a broader audience, although not an out and out trade show experience it offers a less intimate feel to marketing. The exhibitor may not necessarily make contact with all of the leads he would like to. Both events serve the small manufacturer effectively if part of a long term marketing plan". As a partner in a very small business it is great to see SMEs such as S&A and RSG thriving in a world of companies of ever increasing size. While in Utah last week I heard the very sad news of the untimely death of Dr. Gavin Wonnacott, who passed away suddenly at his home in Devon eight days ago. 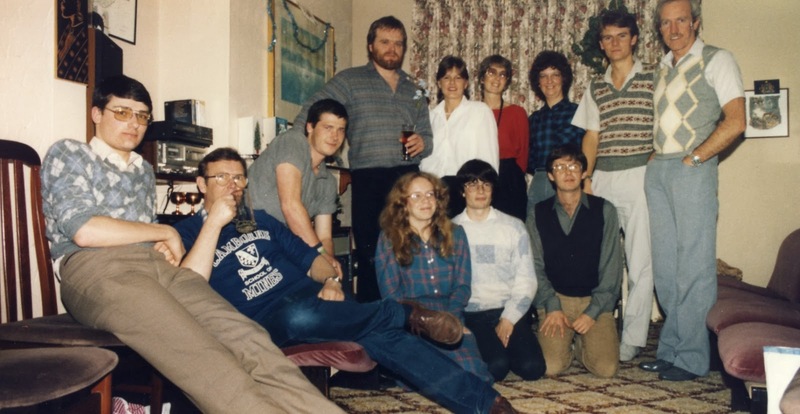 Gavin was one of the brightest of all the students to pass through Camborne School of Mines and graduated top of his year in 1985 with a first class honours degree in Mineral Processing Technology. I then supervised his research work, for which he was awarded his PhD. After leaving CSM we lost touch, as he moved away from mineral processing and latterly he was training to be a secondary science teacher, while retaining his leadership role at Poltimore House, seeking to create enterprise from heritage. Apart from his abilities as a researcher, I remember Gavin for his interest in cricket. While not a sportsman himself he enrolled on an accredited umpiring course, and naturally passed it with distinction. During his post-graduate years at CSM he regularly umpired the CSM league matches on Saturday afternoons. Our thoughts at this time are very much with Gavin's wife, Lisa, and the family. I am sure that many of you will have your own memories of Gavin, and I invite you to share them here. Below are a few of my own photos of Gavin. 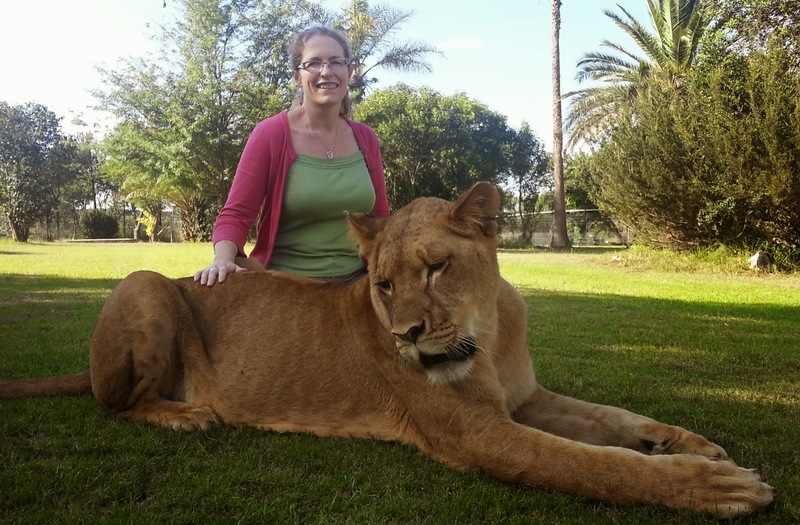 As you will all know, Prof. Jan Miller, of the University of Utah, was seriously injured in an horrific car accident in Tibet early in the year. 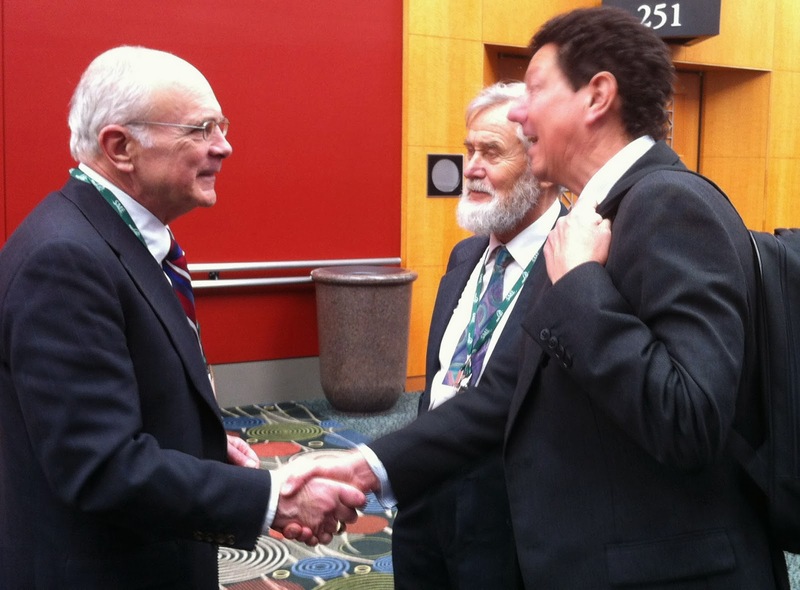 Progress to a full recovery has been long and hard, but it was good to see that he was able to make an appearance at this week's SME in Salt Lake City, to attend some of the Fuerstenau Symposium. Unfortunately I missed seeing him, as I was preparing for my journey back to UK, but this photo of Jan, with Prof. Jan Laskowski and Prof. Jan Cilliers, has been kindly supplied by Dr. Xuming Wang, who was also seriously injured in the crash. It is good to see Jan looking so well after his ordeal.